A caravan air conditioner can come in very handy to keep your van either nice and cool when it is hot, or cosy and warm inside during the cooler months. Even though a caravan air conditioner is a fantastic addition to your vehicle, it will also likely be the most energy consuming appliance on your trip. An average caravan A/C unit consumes between 1000 to 2000 watts when running continuously and when it first starts up can consume between 2000 to 3000 watts to get the compressor going. As a point of reference, compare that to around 100-200 watts for your laptop, 50-100 watts for your fridge, and 40-50 watts for a fan. There are less common examples of campers using their lithium battery packs, plus inverter & charger set ups (from the likes of Enerdrive) to run their caravan air conditioner…whilst this might suit the minority of RV’ers, it can be expensive and for many set ups it can be uneconomical, draining your batteries very quickly! So the most common way to run your caravan air conditioner in the absence of mains power is via a generator. This part is easy – you’ll need an inverter generator. Inverter generators produce ‘pure sine wave’ power, meaning it is clean power that is suitable to run your sensitive electronic equipment. Because caravan air conditioners have electronic componentry, you need a clean power source which is provided by inverter generators. Additionally, inverter generators are more fuel efficient than other types of generators as they are able to idle up and down based on the load of the appliance. Lastly, you’ll notice that most inverter generators have a ‘suitcase’ style design, meaning they are enclosed with soundproofing material making them very quiet so you don’t disturb your peaceful campsite! Inverter Generators produce ‘pure sine wave’ power, meaning they are suitable to run your sensitive electronic equipment. They are also super quiet and very fuel efficient! The answer to this is a little less straightforward, but we’ll try to make it easy for you. There’s just a few things you need to consider based on your particular make and model of caravan air conditioner and your particular situation. Generators are rated by their maximum power output. So, a 2000 watt generator can produce a maximum of 2000 watts at peak, and will run at around 1600 watts continuously. Due to their size and weight, a lot of people want to use a 2000 watt generator, but unfortunately in many cases, this may not be enough power to start a caravan air conditioner. As mentioned earlier, most caravan air conditioner models will need somewhere between 2000 – 3000 watts to start. So, in order to get the right sized generator, you need to find out how much power your particular caravan air conditioner requires when starting up. Often this is not available on the product data plate or in the product manual (usually only the continuous running power is stated), so it is recommended you contact the manufacturer of your caravan air conditioner and ask them what size generator you would need to comfortably run that model. If you speak to the likes of Dometic, Air Command, Truma or Houghton etc. they will typically recommend either a 2400w or 2800w generator to run most of their caravan air conditioner models. 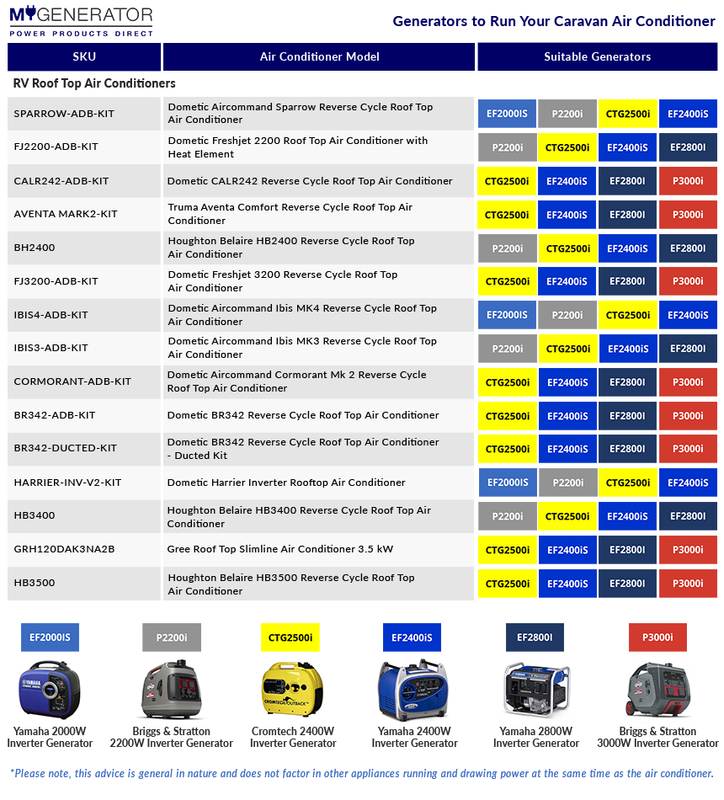 Most leading caravan air conditioner manufacturers will recommend a 2400 to 2800 watt Inverter Generator as the appropriate size to run the majority of air conditioner models. 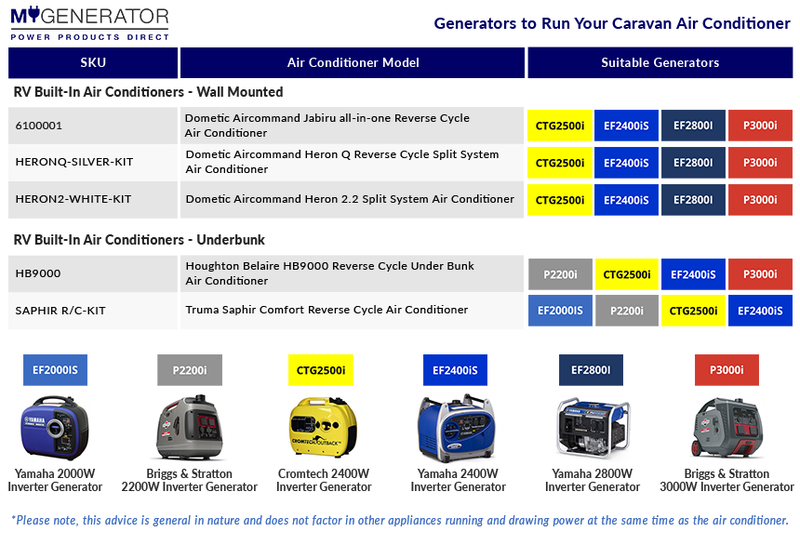 To help you with your decision, we have created a “Generators to Run Your Caravan Air Conditioner” diagram to make your decision easier. For each caravan air conditioner on the market, we have recommended four different sized generators capable of starting and running the unit. 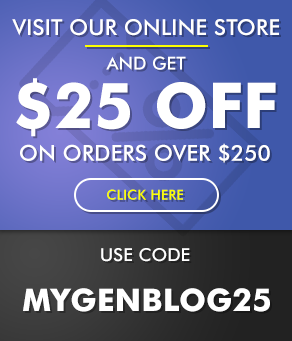 If you are looking to solely run your air conditioner, you can then select the minimum generator recommended. Other factors to consider in running a caravan air conditioner from a generator? Temperature: As the ambient temperature and/or humidity increases, the power required to start the air conditioner compressor is greater and the power output of a generator decreases. This means unfortunately at the time when you need more power to start the compressor, the generator is actually making less power than it is rated at due to the higher ambient temperature and humidity. The hotter the ambient air is (the air that is sucked into the engine for combustion) the power output of the engine and generator will decrease. A good rule is to allow a 1.5% decrease in output for every 5 degree C above 25C. So on a 45 C day, a genset will be de-rated by 4 x 1.5 = 6%. Height above sea level will also cause then genset to be de-rated further. Extension Leads: It is also suggested that a short lead from the generator into the van (no longer than 3-4 meters) is used, as there is amperage drop over longer leads. Other appliances: you will also need to bear in mind the load drawn by other appliances running at the same time as your caravan air conditioner: Battery charger, fridge, lights, TV, other caravan appliances etc. Often we find that customers who are running an air-conditioner on a generator that is only just enough to handle the air con start up requirement, will have troubles if their battery charger is plugged in at the same time for example. 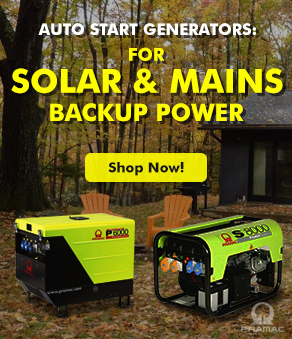 So, overall, these are other considerations when selecting the right generator for your caravan, and highlights that opting for a genset with a bit of extra capacity beyond the peak draw of your air conditioner is a good idea. Yes. There are a few exceptions to the rule that we know of. In mid 2016, Dometic released the Harrier Inverter Air Conditioner: featuring the first use of an inverter compressor in an RV application. 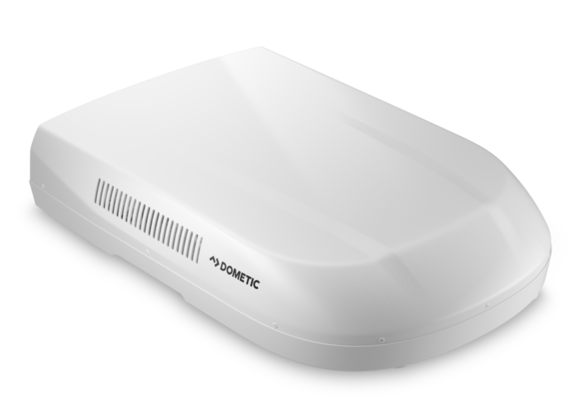 This means the Dometic Harrier Inverter can help eliminate start-up current issues when running from generators or when current supply is restricted. Where most other caravan air conditioners will require more than 2000 watts at start up, the Harrier can comfortably start and run from a 2000 watt generator. The new Dometic Harrier Inverter Caravan Air Conditioner features the first use of an inverter compressor in an RV application. It will start and run comfortably off a 2000w Inverter Generator. 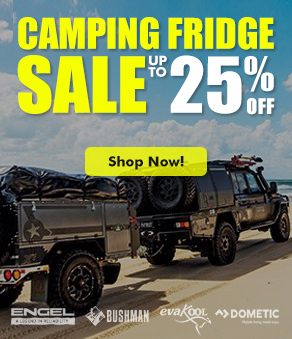 The second exception is the Dometic Aircommand Ibis MK4 Reverse Cycle Roof Top Air Conditioner, which is the latest Caravan RV air conditioner model to hit the Australian market. 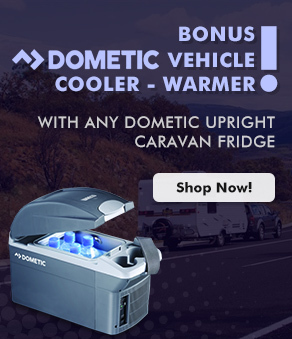 The Dometic Ibis 4 makes improvements on many of the industry-leading features of the highly sought-after Dometic Aircommand Ibis 3; which has been a leading air conditioner for caravan and RV’s in Australia for many years. Like the Dometic Harrier, the Ibis 4 also features an inverter compressor. This technology not only means the air conditioner can comfortably start and run from a 2000 watt generator, but it also ensures that vibration is minimised, creating a more pleasant environment. The last exception is the Dometic Aircommand Sparrow Reverse Cycle Roof Top Air Conditioner. This unit does not feature the inverter technology the Harrier and Ibis 4 do, but it is a smaller unit so it does not require the same start up power requirements of a normal air conditioner. This meaning it can also comfortably start and run on a 2000w inverter generator. In order to get the right generator to run your caravan air conditioner, best practice is to contact the air con manufacturer and find out what is the recommended size generator for your particular make and model of air con. Keep in mind that you may want to have some extra power capacity up your sleeve to account for external environmental factors and for running other smaller appliances. 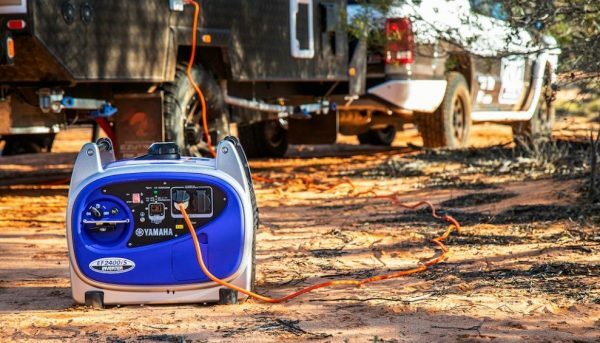 The Yamaha EF2400iS is the most popular generator to run caravan air conditioners. It will start and run most caravan air conditioner models on the market, and it was awarded the number 1 caravan generator by Caravan & Motorhome on Tour Magazine in their mega caravan generator test. 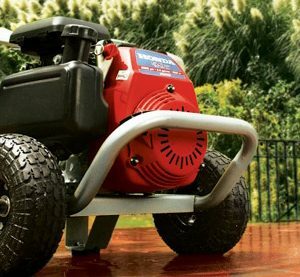 Other popular models include the Cromtech Outback 2400w, the Yamaha EF2800i, the Yamaha EF3000iSE, the Briggs & Stratton P3000i, and the Dometic TEC29 built-in generator. The latter 4 models being the choice for people running larger air con models and/or wanting a bit more power. A smaller percentage of caravan owners can get away with a 2000 watt generator. Again, the newly released Harrier Inverter Air Conditioner model and the Ibis Mk4 model will run comfortably from a 2000 watt generator, but while a few other models may do also, issues can often arise in hotter temperatures or when you need to run other appliances as well, or possibly also have your battery system hooked up. As mentioned, its always better to have a bit of extra power up your sleeve rather than get teeter on the edge and risk not having enough power in certain situations. When you are choosing a generator for your caravan, it is recommended you opt for a quality brand that has comprehensive warranty coverage along with national service agent and spare parts support. 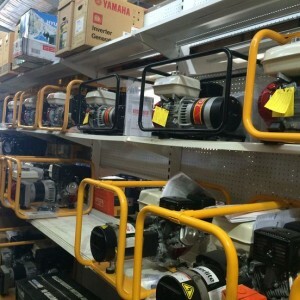 Premium Brands such as Yamaha, Briggs & Stratton, Honda, Dometic etc. have hundreds of service agents around the country meaning that if you ever need the genset inspected under warranty, serviced or require spare parts, then you are covered. Even a select number of budget brand generators, such as Cromtech, have national service agent support. They are made in China, and the premium brand units might be slightly superior in terms of specs, but their price is compelling and you still get national service agent backing. It is not recommended you choose a cheap no-name generator (often sold on places like eBay) that do not have national service agent support. We repeatedly get stories of these cheap brands not honoring warranty, or when something goes wrong with the generator on the road, then there are long and frustrating delays to the caravan trip as there is no service agent or spare parts support. To find out more about generators to run Caravan Air Conditioner units, check out our range HERE. Love this post, if noise is a big concern for you, you should check out a quiet enclosure that silences them! See them at http://www.zombie-box.com. They are not only sound proofing but they are also portable. You are able to attach these to back trailers and RVs also. This is a very nice post. It is also very helpful for us. I have been searching this type of information because I want to get knowledge about Generator . I learned a better knowledge about that. Thanks. Will a 3000w generator power a portable 12,000 btu A/C unit? Hi Konrad, thanks for your question. 12,000 BTU equates to approx. 3.5kw. Therefore if your portable A/C unit surges to 3.5kw (you should check this with the A/C manufacturer) then a 3000 watt generator MAY get overloaded at that peak surge…I would recommend you speak to the A/C manufacturer technical support and clarify the exact max draw and then will know if a 3000 watt generator will be enough. Thanks. KVA X .8 = Watts. (eg) 2.4 KVA X .8 = 1920Watts. 2.8 KVA X .8 = 2240Watts. Hi K, thanks for this. Part of that claim certainly supports our advice; with everything else off and short extension leads, a 2000w (2kVA) Inverter Generator can run some Caravan A/C models… HOWEVER we get customers contacting us every week saying their 2000w generator (including the Honda EU20i model) will NOT run their caravan A/C – the most common reason being that the outside temperature is a hotter than factory testing conditions, and thus the generator cannot cope with the Aircon start up requirements in the heat. This is because any generator’s capacity is slightly de-rated in hotter temperatures…which is obviously when you want your A/C running! When you take that into account, along with the fact you often you might need to run extension leads greater than 4 metres, and not to mention you might want to run other small appliances at the same time, e.g. your battery system, fridge-freezer, TV etc, then its no wonder that the best selling caravan generator models are 2400 watts or above in size. With a 2400w generator, you know with confidence the engine is large enough to handle the Aircon start up in the heat and have a bit of power contingency so you are not inconvenienced. Additionally, you can put a call into the technical departments of the leading caravan manufacturers such as Dometic, Truma, Air Command etc. 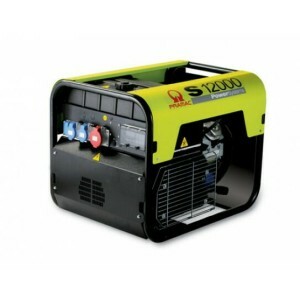 and ask what size generator they recommend, they will advise: 2400 – 2800 watts in size. In summary, a 2000w generator will work for some Caravan set ups, but most are best served by a generator with slightly more capacity to handle the heat and have any extra power up your sleeve for any other de-rating factors (i.e. power chord length) and other required appliances. The exception to the rule in our experience is less commonly the generator size, but the actual Aircon model; the newly released Dometic Harrier Inverter RV A/C has an inverter compressor which significantly reduces start up power requirements and will comfortably start and run from a 2000w inverter generator. If you would like to discuss further, please feel free to call us on 1300 400 122. Many thanks. We run our caravans soft start inverter air-conditioner on 2 x 120AH lithium batteries, a 2000w inverter & 300 watts of solar. It can be done!! reading about your aircon/battery/solar setup, I was wondering how long it runs for before going flat? Our batteries have never gone flat as we know how to precisely run and manage our solar/battery system. The longest we have continuously run the air-con is 4 hours on Christmas Day while camped on the Mary River at Kenilworth Qld. Looking at a newer Caravan A/C model such as the Dometic Air Command Ibis 4, which has an inverter compressor so it does have a very low start up power draw. It will slowly ramp up to its peak power draw. The peak power draw is around 1400 – 1500W. You can use a good quality 2000W inverter EN1120X) connecting to your battery bank. So a long story short, you can do it (as some people do!) if you are aware of how that will affect your battery storage and charge loss and knowing how to manage that system. 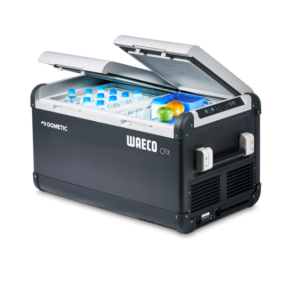 You can get a bigger battery, you could go up to 400Amp of Lithium and run your Air Conditioner for 3 hours. But that will take even longer to recharge, so all of this is important to take into consideration. If you are just pulling up for lunch and you are doing a lot of driving, you can run it for a short time. I find that my Yamaha 2800 is perfect for running my aircon in my 23ft van. Even on 40deg days. I prefer the 2800 because its smaller in size and weight compared to the 2400. And Honda models of the same compacity plus its cheaper to buy. For each of the above options, you can click on the link and look under the Specifications section for product dimensions to see which model best suits your caravan space capacity. Many thanks. A customer of mine is looking at running a 2kva Honda through a smart 40amp charger to a 170AGM battery, then via a 3.5kva inverter to a 2kva aircon. Your opinion would be appreciated. Thanks for the above. We’re looking at running the Honda genset while the aircon is on, never from the battery alone. The Honda only supplies 8amps DC, whereas we’re intending to run it’s AC current through a 40amp battery charger, then the inverter etc. Hi Phil, if you are referring to air conditioners for RV’s (i.e Caravans, Motorhomes, Campervans etc.) then any of our Recreational Vehicle Air Con Models will run from a 2400w inverter generator or larger. So if you already have a 3500w inverter generator, then you will be fine running any modern RV air conditioner. 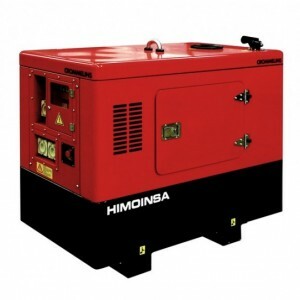 Hello, I have read which generator you recommend for a air command cormorant, though my toolbox will only fit a Honda 2.2kva or a Cromtech 2.4kva outback. You recommend the Cromtech to run this air conditioner but with limited use. I would like a more quality generator for heavier use so will a Honda 2.2kva run my air conditioner please? The Yamaha 2.4kva is 29mm too wide to fit in my toolbox.